"Dr.Chang always shows great care and I appreciate it." "I'm so Happy to have my Doctor." "I love dr Chang. he is very concerned and caring"
"Dr Chang is most respected and understands your needs"
"I have recommended Dr. Chang to many family members and friends and all were very pleased with him and continue to see him." "Very good and very satisfied." "I believe that Dr.Chang is a very good doctor"
"Dr. Chang is a highly professional physician who does an excellent job of explaining everything to me." "Dr. Chang is a fabulous doctor. Very caring. Takes time when you need it. Never rushes to get to next patient if you need to speak with him. He's been my doctor for years, I would never change to another dr. he takes matters seriously. If he is not familiar with the illness he will send you to the right doctor. Will not treat you if it's -> not his field." "I would highly (and do) recommend Dr. Chang to other potential patients. He is very knowledgeable and efficient in dealing with all of my problems and questions." 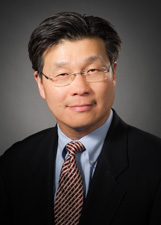 "Dr. Chang is a well trained, professional and very personable physician. He always explains things thoroughly and clearly." "Dr. Chang is very thorough and informative." "Dr. Chang is a wonderful doctor." "I am very pleased with the services provided by Dr. Chang. He is a real asset to the practice." "I am very much satisfied with the overall medical services given by the provider and other staff." "I've been seeing Dr. Chang for years because i respect him, his knowledge, patience, & kindness. I brought my mother to him as well, & would highly recommend him to anyone who needed a doctor that really cares"
"I credit Dr. Chang with keeping me healthy. I have a few chronic problems, which he is treating properly. I trust Dr. Chang completely and believe that he provides me with the best care possible. I know that he is concerned about my health and I appreciate thatl"
"Provider very knowledgeable, helpful and interested in my health." "I feel that Dr. Chang is a great doctor." "Dr. Chang's staff were excellent." "Dr. Chang is excellent. Have been recommending him to others and will continue to do so. I've recommended many of your existing patients." "Exactly what I expected - quality service." "Dr. Chang is excellent. We love him."